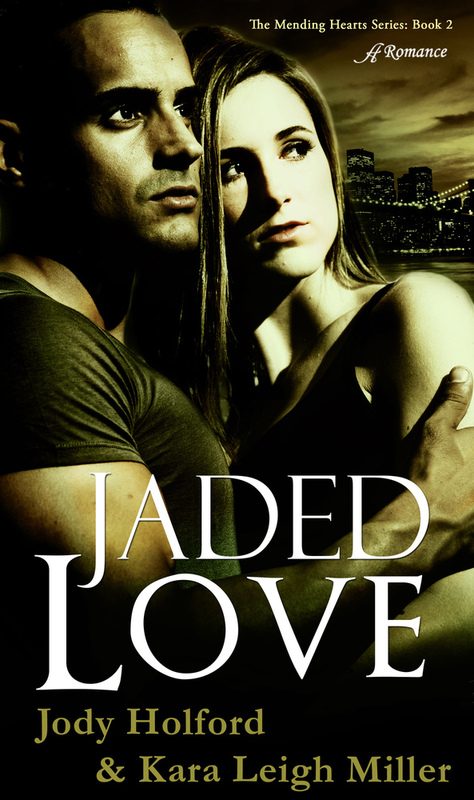 Authors Kara Leigh Miller and Jody Holford have once again pleased their fans with Jaded Love, the second novel in their Mending Heart series. In the harsh yet exciting streets of New York City, Kristy Andrews and Jackson Reed are strangers with little in common other than a desperate need for normalcy after experiencing traumatic events that control all aspects of their lives. Kristy fights with her fearful emotions and crippling shyness brought on by a brutal kidnapping that forever changes her naïve view of the world. The reader can easily associate with Kristy, rooting for a change in her life to overcome this form of post-traumatic stress disorder that victims like her often experience after a violent crime. Jackson Reed must also deal with his own guilt and trauma after accidentally shooting the wrong man while on duty with the NYPD as a detective. Kristy and Jackson’s chance meeting starts a chain of events that begins with love at first sight and ends with life and death struggles that the two reluctant lovers must overcome to save themselves. Miller and Holford have done an excellent job following the tried and true story arc of storytelling in Jaded Love with first an event that changes the protagonists’ lives, then escalating trouble to test their mettle, and finally, a satisfying and dramatic resolution at the end. The authors could have written Jaded Love as just a well-told love story between two damaged characters who need each other and God to help with their struggles, but as an added treat to the readers, Miller and Holford have thrown several monkey wrenches into the narrative, which threaten to not only disrupt Kristy and Jackson’s love but also their lives and careers. One sub plot involves the shady dealings of a corrupt pharmaceutical company that threatens tragic circumstances for our protagonists and throw twists to the story that will leave readers literally on the edge of their seats. All in all, Jaded Love is a well-written and excellent follow-up to their debut novel, Dangerous Love, and highly recommended. also follow her on Facebook and Twitter.